When you post an item from the Stock Inventory section, it’s slightly different than posting consignment. When you create new inventory, you need to prepare the item for the channel you want to list it to. Navigate to the Inventory Item’s page via the Items > Inventory > View All Stock. Once you are on the All Inventory Page, click on the View button for the item of your choice. 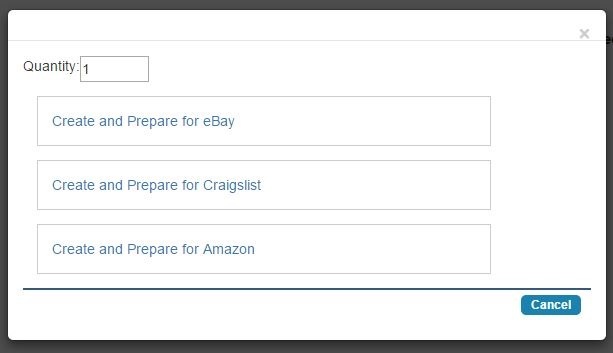 From this page you click the Prepare New Item button. A modal window will open asking the quantity and the channel you want to list the item on. By clicking any of these channels, it will create a new item and then start it In Queue. Once this is In Queue, the listing process is the same as listing a normal item.